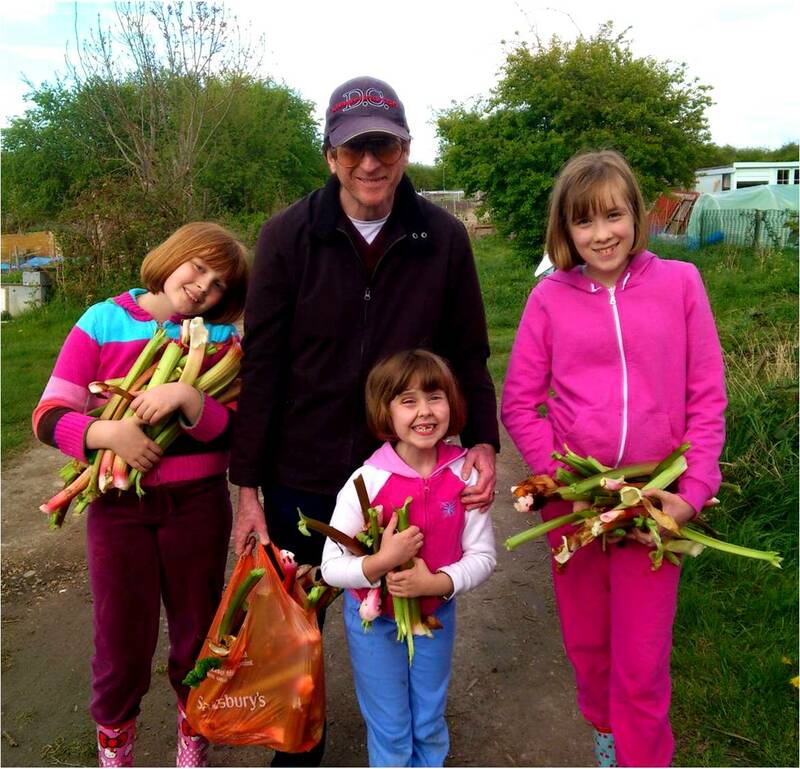 We've recently starting sharing an allotment with another family and there is an enormous glut of rhubarb. 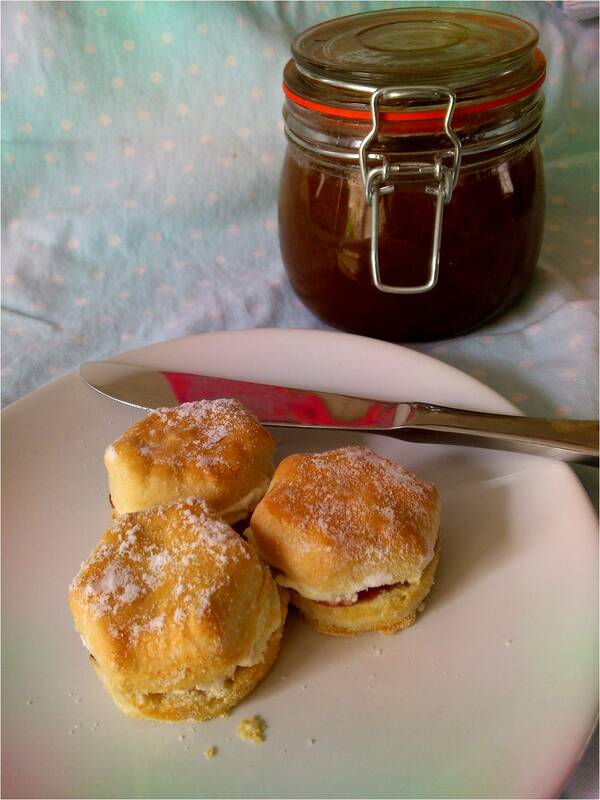 I shall be posting other recipes using rhubarb later this week but thought I would share this delicious jam recipe which I whipped up yesterday. Rhubarb is low in pectin which is what helps jam set so I have added lemon juice and used lemon pips in a muslin bag to increase the pectin levels to ensure the jam would set. I don't use the jam sugars with added pectin as I don't like the way it effects the taste of the finished jam. Firstly sterilise the jam jars. Wash the jars in soapy water and rinse in clean warm water. Allow them to drip-dry, upside down, on a rack in the oven set to 140C/Gas Mark 1. Leave them there for at least half an hour while you make the jam. Combine the rhubarb, sugar and lemon juice in a large bowl then leave overnight to infuse. The next day pour the contents of the bowl into a large preserving pan, adding the small muslin bag of lemon pips. Split the vanilla pod in half lengthwise and scrape out the seeds. Put the seeds and vanilla pod into the preserving pan, or alternatively add the vanilla bean paste to the contents of the preserving pan. Stir over a low heat to dissolve the sugar, brushing down any sugar crystals from the side of the pan with a wet pastry brush. Once the sugar has completely dissolved, bring the mixture to the boil and skim off any pale froth. Cook over a medium heat, stirring frequently, until the mixture becomes transparent and thickens. This should take about 20 - 30 minutes. Check that the setting point has been reached after 15 minutes then every 5 minutes after that. The setting point for jam is 105C so a good way to test for setting point is to have a sugar thermometer clipped to the side of your pan, with the end dipped in the boiling jam mixture. Once the boiling mixture has reached the correct temperature then your jam should set. You can also check for setting point using the saucer test. Before cooking the jam put 3 or 4 heatproof saucers in the freezer. Once your jam has boiled for several minutes, take the pan off the heat and carefully spoon a little jam onto one of the cold saucers. Let it stand for a minute then push the blob of jam with your finger, if the surface of the jam wrinkles then it has set, if it is still quite liquid then put the pan back on the heat and boil the jam for another 3 to 5 minutes before testing again. Pectin can be destroyed by boiling your jam for too long so make jam in a large saucepan (the fruit and sugar mixture should not come more than one third up the side of the pan) so that the mixture boil rapidly, and start testing the setting point fairly early. Once setting point has been reached remove the muslin bag of lemon pips and the vanilla pod from the jam and leave the jam to cool for 10 minutes.. Ladle the jam into sterilised jars, almost to the top, then seal. The jam will shrink back a little as it cools. 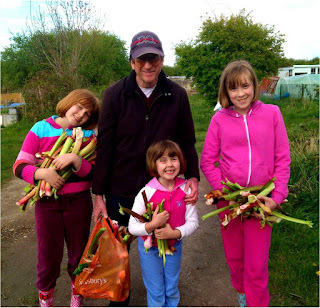 I am submitting this recipe to the Recipes for Life challenge over at Bangers & Mash because our three ingredients with which to create culinary brilliance this month are rhubarb, lemon and spice. I am also linking up this recipe to the Simple and in Season monthly blog event over at Ren Behan's beautiful blog, her photos are always stunning. The challenge is two years old this month and is one of my favourites to link up with. And of course I am joining the Credit Crunch Munch blog hop with my frugal and tasty jam recipe. Jars of jam keep for ages and make great gifts, there's nothing like a personal, homemade and delicious gift to brighten the day of someone you care about. Credit Crunch Munch is a monthly blogging event created by Helen and Camilla. The lovely Farmer's Girl Kitchen is hosting this month. Looks great. Have been making rhubarb crumble, fool and a lovely, jewel coloured rhubarb cordial - but now I'm really tempted to make rhubarb jam too. ooh I like the idea of vanilla in rhubarb jam. I'm going to try this. Good Afternoon Michelle, Well this sounds lovely, rhubarb and vanilla jam. I do not have an allotment, but I bought some rhubarb from the market this week and thought of making a rhubarb crumble, but I am going to make this jam instead. 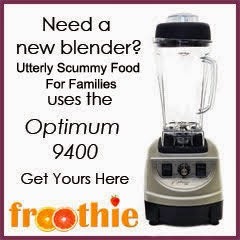 I have enjoyed my visit to your site and I have become a new follower as it is always lovely to have new recipes to try out. I would like to invite you over to visit me at Ivy, Phyllis and Me! I cook and bake and talk about my travels, it would be lovely to see you there. ooh thanks for the tip about the lemon pips...I don't like the taste of pectin so will have to try this.